The Arc Trainer is Cybex’s answer to high impact exercise that may be effective but costly on the body. 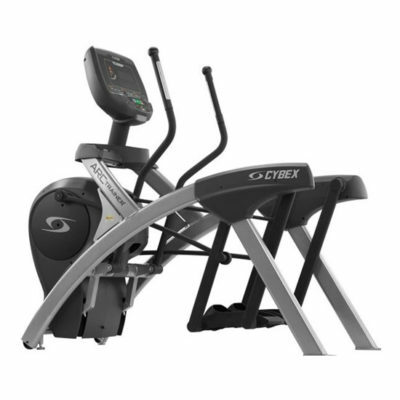 The Cybex Arc Trainer is scientifically tested to be more gentle on your joints, up to 16% more effective at burning calories than other ellipticals and is known to be one of the strongest and most durable units you can purchase. Cybex Arc Trainers offer the most biomechanically effective patch of motion with less stress on the knees and more engagement on the hamstrings and glutes. 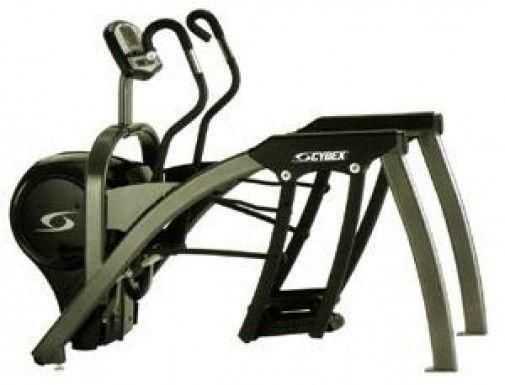 What is a Cybex Arc Trainer? 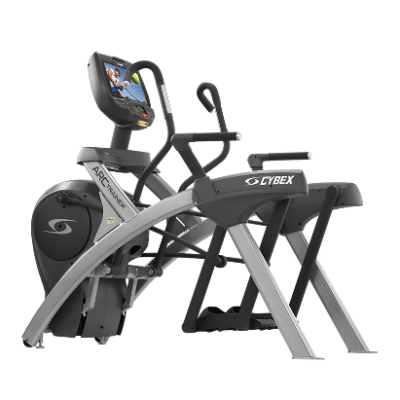 The Cybex Arc Trainer is essentially the answer from Cybex to the Precor Elliptical. The purpose of the machine is to provide a completely zero impact exercise while burning loads of calories and stimulating compound muscle groups including the central core. What does the Arc Trainer do for your body? The upper body motion offers resistance to your arms and can engage your core including abdominals and lower back area. Hand positioning can also help engage the front and rear deltoids as well as the trapezius muscle. This cardio machine can leverage an incline level to target the lower body much more than traditional ellipticals. What kind of machine is the Arc Trainer? 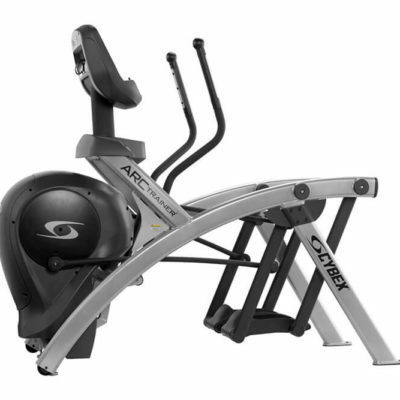 The Arc Trainer is a stationary exercise machine with zero impact and is a registered trademark of Cybex International, Inc. This machine was introduced in 2003 and has a patented movement to drive highly intense yet fluid movement in a compound aerobic workout. Leveraging the upper body and lower body simultaneously along with both incline and resistance make this exercise machine vastly superior meaning a more effective workout, more efficient weight loss and effective cardio exercise. What are the benefits of using the Arc Trainer? This gym equipment is essentially 3-in-1. You can train for endurance, cardio, strength or weight loss (or all of the above). Total body arc trainers target both the upper and lower body There is a vast selection of incline and resistance ranges incorporating a stepper, elliptical and bike movement without impact on your joints at all yet much more exciting to ride than a rowing machine, elliptical trainers or recumbent bikes. How many calories do you burn on the Arc Trainer? A case study of 16 healthy men and women on each machine found that research subjects burned 10.8 calories per minute when compared to the Adaptive Motion Trainer (from Precor) which burned 9.9 calories vs 9.3 calories per minute on a more standard elliptical. 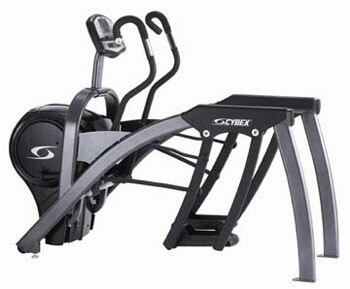 The Cybex Arc Trainer outperformed all of the other machines on a calorie per time basis for any zero impact exercise. This far exceeds exercise bikes and the Cybex elliptical machine means a more efficient calorie burn and use of your time in the gym. What are the Differences Between The Arc Trainer Models? 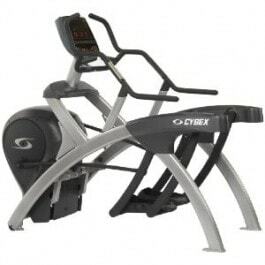 The Cybex 600a is the classic model. 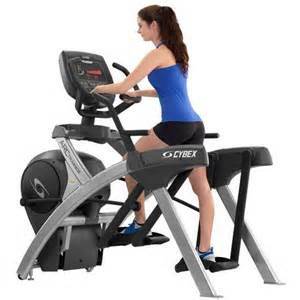 24″ stride length, heart rate with 7 exercise programs. 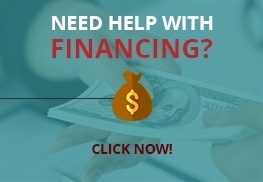 You can change the incline level on the 600a model but not the resitance. This model has stationary arms. Great for doing cardio interval training. 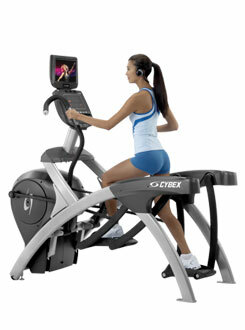 The Cybex 610a model has 11 levels of incline and upgraded commercial shrouds. 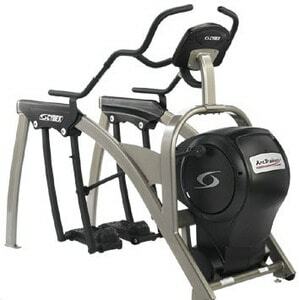 The 610A also adds resistance as well as the adjustable incline and 11 exercise programs. The Cybex 610a measures strides per minute (which the Cybex 600a does not) and the 610 has moving arms. The Cybex 625AT Total Body Arc Trainer switches to a self-generating system as opposed to it’s plugged in predecessors. 11 levels of incline, wireless heart rate, 11 exercise programs. 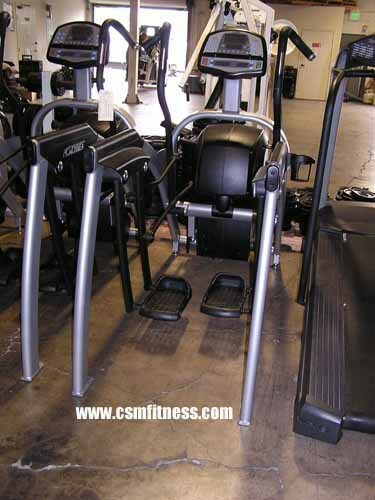 It is a great “lower body arc trainer.” The 625A also has 21 levels of incline adjustment. The Cybex 750a arc trainer steps it up to 21 levels of incline in a 380 lb. unit. 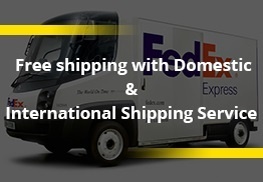 It is self-generating with 12 fitness programs to choose from. The Cybex 750a is considered the highest commercial grade lower body arc trainer. The Cybex 770at Total Body Arc Trainer is a total access, self-generating unit that weighs 404 lbs. It incorporates upper body arms as well as the lower body arc. This fitness machine is a beast with 21 levels of incline, 14 exercise programs in 10 different languages. Great for cardio interval training and burns more calories than an elliptical any day of the week. 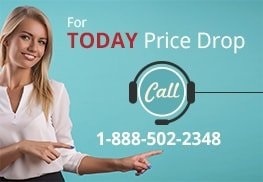 Call Gym Pros at 888-502-2348 today for the lowest price on one of our Cybex arc trainers on sale.